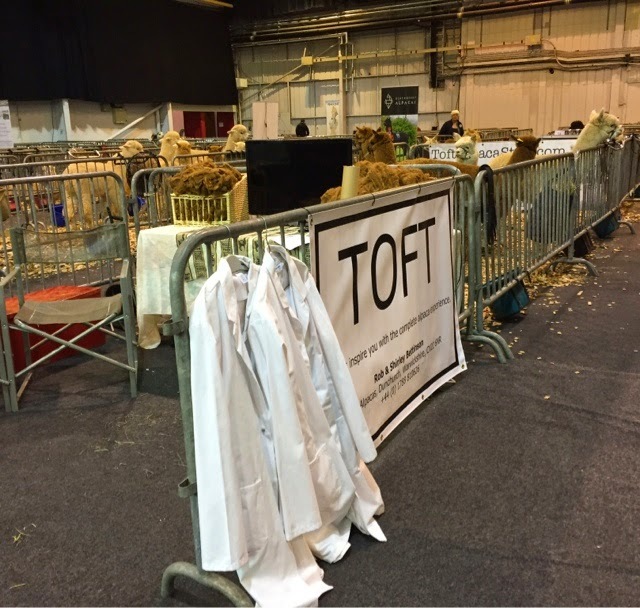 The glamour of show biz...Early doors at the Telford International Centre for the first day of the 2015 National Show. TOFT stand looks a little understated until we get the flag here (forgot it yesterday hey ho) and the telly on! White coats at the ready for Linda and Freya when they get here. They are currently whacking their way up the M6 to join us.